Rak Thai is a relaxed and contemporary styled restaurant inspired by the elegance of traditional Thai cuisine. Here at Rak Thai we not only offer our top class dining experience, we also provide a fast reliable takeaway service of healthy, cooked to order Thai food to your home. With our team of highly experienced Thai chefs we strive to make sure each and every dish is fresh, healthy and full of superb distinctive flavours incorporating the very best of locally supplied produce, herbs and spices. 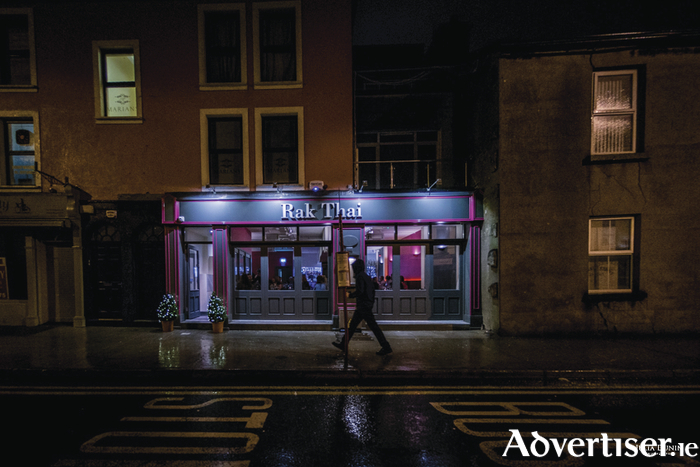 A whole new dining experience in Galway....RAK THAI invites you to dine and share food with family, friends & colleagues in a cozy and modern restaurant. Head chef Brad Stoward brings a wealth of knowledge and experience to the culinary world. He is well versed in Thai food preparation with over 20 years of experience having worked under some of the finest chefs in Hong Kong and at Nahm in Bangkok, which is classed as the best restaurant in Asia and the 22nd best restaurant in the world. Feel free to have a look at their amazing new specials and where kids eat for free on Sundays! !